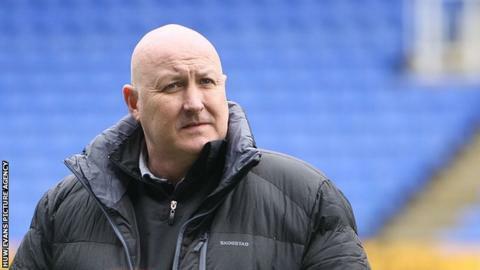 Cardiff City manager Russell Slade says he is not hurt by fans calling for him to be sacked. The Bluebirds completed their home campaign with a 3-2 win over relegated Blackpool, recording only their third win in the Welsh capital in 12 league matches. Chants of "Slade Out" could be heard as players and staff did a lap of honour. "It doesn't hurt. I think today maybe showed a lack of understanding," said Slade. "It has been a disappointing season so I do understand that, but going forward we have a lot of work to do. "I think a lot of it is down to the frustration of the season more than today." Slade succeeded Ole Gunnar Solskjaer as Cardiff manager in October 2014 after leaving League One side Leyton Orient. The Bluebirds have endured a disappointing season in the Championship following relegation from the Premier League. They are 13th in the table with a trip to Nottingham Forest remaining on Saturday 2 May. "It wasn't a great start [to the season] by the football club," said Slade. "I think when I took over we were 17th. We still have a realistic opportunity of finishing 10th if we get the right result against Nottingham Forest. "Is it progress? Yes it's a little bit of progress. "Is it enough progress? Of course it's not enough, so we will want to progress again [next season] if we want to get in to that top six."